Since its inception in 2000, the ­X-Men film franchise has easily been one of the most qualitatively erratic blockbuster series of the modern era. It has produced one excellent superhero movies in X2, two very good films in First Class and The Wolverine, the mediocre original film (which has not aged well at all), the abject disappointment of The Last Stand, and one of the all-time worst comic-book stinkers in Origins: Wolverine. It has given us one of the greatest, most enduring pop culture icons of the 20th century in Hugh Jackman’s Wolverine, two tremendous interpretations apiece of Professor X and Magneto (Patrick Stewart/James McAvoy and Ian McKellan/Michael Fassbender, respectively), a handful of memorable and compelling supporting characters (Famke Janssen’s Jean Grey, Brian Cox’s William Stryker, Rebecca Romijn and Jennifer Lawrence’s Mystique, etc. ), a seemingly bottomless grab bag of throw-away mutants (every character who isn’t Wolverine in Origins, the majority of the first class in First Class), and some total misfires of classic comic-book characters (James Marsden’s one-note, unappealing Cyclops). It has given directors like Bryan Singer and Matthew Vaughn a chance to flourish on a big blockbuster canvas, and definitively proven the ineptitude of amateurs like Brett Ratner. It has used its allegorical lens to explore bigotry and hatred in ways both poignant and pin-headed, and it has created for fans an increasingly complex and confusing continuity that is largely impossible to reconcile. It is, in short, a franchise that has progressed in such awkward fits and starts that true cumulative impact – a sense of overall, collective emotional weight to the narrative and characters – has been hard to come by. Until Days of Future Past, that is. Bryan Singer has crafted here an absolutely wonderful film, one that is positively miraculous in how it ties the entire history of this series together – good, bad, and everything in between – to tell a story that feels so much bigger and more emotional than a mere summation of parts. For the first time in the history of this series, I felt the collective weight of fourteen years of storytelling and character development represented on screen, and where some franchise films might buckle under such pressure, Days of Future Past instead feels liberated, free to let these characters and their world soar on the energy of artistic pay-off. I never expected to feel so emotional watching an X-Men movie, to see a story that hits so hard because every inch of it feels genuinely earned, but that is what Singer has crafted here, and by the time the end credits rolled, I was on the verge of tearing up. These films have been coming out ever since I was eight years old, and as Wolverine and several other characters reach an impossibly satisfying place of resolution and hope, the weight of my time spent with them hit me, as it had on several other occasions during the movie. Only a great cinematic accomplishment can prompt such an impact. Days of Future Past is a remarkable achievement indeed. Inspired by Chris Claremont and John Byrne’s iconic, eponymous story arc from the comics, Days of Future Past begins in a ruined future, where the Sentinels – giant mutant-hunting robots – have laid waste to man- and mutant-kind alike. While Singer certainly did effective, occasionally inspired work on the first two X-Men films, he is operating on a whole other level here, and his vision of an apocalyptic future is truly awe-inspiring, stylistically singular and terrifyingly palpable. It helps that Singer has completely overhauled – and dramatically improved – his approach to mutant action; where the original films tended to grind to a halt whenever a new power was introduced or displayed, the opening action sequence here is exhilaratingly fluid, with superpowers feeling less like a gimmick and more like a natural extension of character and setting. The entire future-set prologue is strikingly economic, in fact, encompassing a vast sense of loss and regret in a brief amount of screen-time. Professor X and Magneto, reconciling their differences in the midst of such despair, have brought the few remaining X-Men together for one last-ditch effort to save their race. 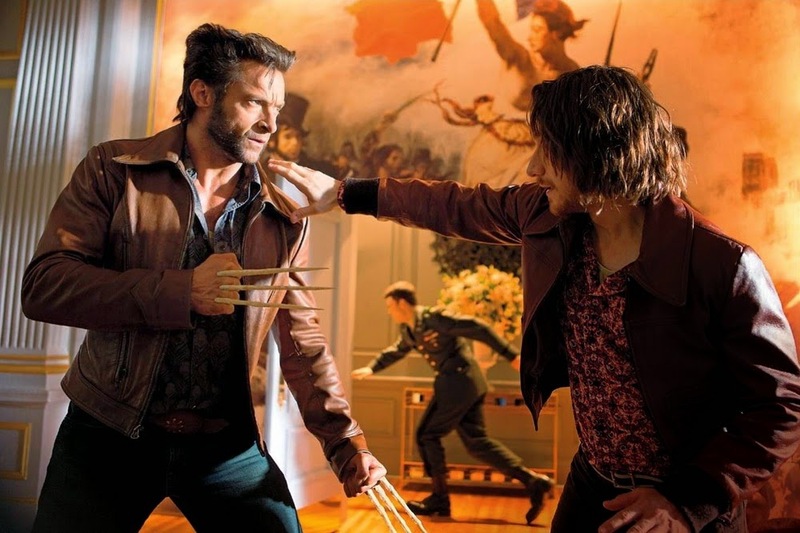 Unable to beat the Sentinels, they plan on using Kitty Pride’s (Ellen Page) phasing powers to send Wolverine’s consciousness back in time, to the year 1973, where he can hopefully stop the Sentinels from ever being created. To do that, he’ll have to get the young Xavier and Magento to work together, at a time when tensions between the two were at their height, so that they may stop a young Mystique from assassinating Bolivar Trask (Peter Dinklage), creator of the Sentinels and martyr for their implementation. 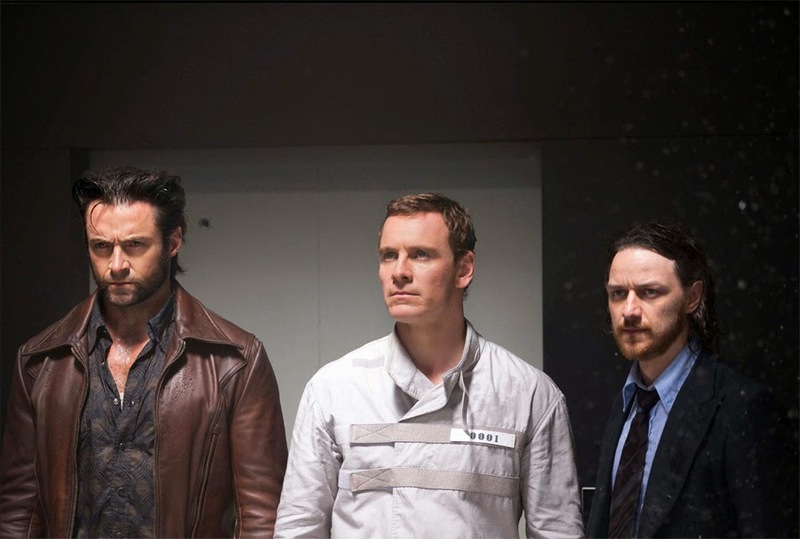 From there, it would be easy to say that the majority of the film is a sequel to 2011’s First Class, as the core cast introduced there – McAvoy, Fassbender, and Lawrence – are, alongside Wolverine, the film’s key players. And while Days of Future Past succeeds wildly on that level, continuing the compelling character arcs and relationships Matthew Vaughn introduced in his prequel, I think reducing this film to such a description sells what Singer has accomplished here short. Because Wolverine is our link between past and future, and because the character and Jackman’s performance has been the one constant across the entirety of this series, Logan brings with him the baggage of everything that has come before, and that casts the First Class players in an entirely new light. This isn’t a straight sequel to First Class, where we see familiar faces grow into the figures we know and love, but an opportunity for three key characters – Xavier, Magneto, and Mystique – to confront the totality of who they are and who they will become, and to decide whether or not they have it within themselves to walk a different path. It is a complex and thematically rich implementation of time travel, allowing the younger actors to further develop their increasingly compelling characterizations while simultaneously reflecting the entire history of this series back upon itself. The choices these characters make are influenced not only by their own pasts, but by the apocalyptic future they have now been warned about, and we, in turn, perceive those choices through the lens of our own experience of who these people are and have been, across multiple incarnations and so many films. Past, present, and future – diegetically and metatextually – fold in on themselves as a young Xavier, lost and wounded, ponders the nature of hope, or as a young Magneto tries to justify his anger and actions, or as a young Mystique moves dangerously close to becoming the cold, heartless assassin we knew in the original films. The character arcs matter because they represent both apotheosis and inception, the height of each character’s development seen in a crucial early moment on their respective journeys – which, in turn, says something rather profound about how easy it is to ignore the importance of our formative decisions at the moment they happen, a message not coincidentally shared by many of the best time travel stories. There are a lot of moments here that flooded me with warm nostalgia – nostalgia I did not even know I had, such as seeing Stewart, McKellen, and the other original X-Men side by side again, or revisiting original sets like Cerebro, or hearing composer John Ottman’s musical themes for the first time since X2 – but they only have weight because the story makes the past relevant, rendering our memories of the good times and the bad crucial in how we interpret the mistakes these characters have to overcome, and the triumphs they desire to live up to. And it is in those moments when past and future literally meet, such as a metaphysical confrontation between young and old Xavier, that the significance of this story truly shines through, and the emotional impact is at its searing height. The entire cast does terrific work, and Singer’s eye for characterization has never been sharper or more deeply felt. Stewart and McKellen may only have a few scenes here, but Singer makes those moments count, giving these legendary thespians room to work some minor acting miracles. It’s a testament to McAvoy and Fassbender that their work never feels even slightly overshadowed by the appearance of their older selves, and it helps that Simon Kinberg’s screenplay builds so beautifully off the foundation of First Class. 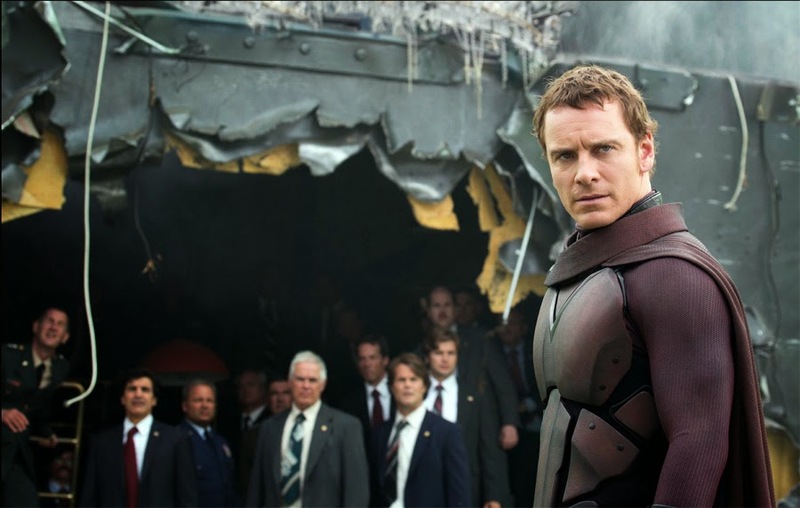 Seeing how young Xavier copes with his paralysis and trauma, or how Magneto continues to trade in sympathy and reason for rage and retribution, makes for volumes of emotionally rich material, and McAvoy and Fassbender play what they are given for all it is worth. They have quickly become two of the most compelling superhero leads in the entire genre, and this time, their supporting cast mostly feels up to that same level. I found Mystique’s characterization rather awkward in First Class, as that film took away too much of the character’s dark playfulness and intrigue, but they’ve wisely adjusted her here, returning some of her mystery – she talks less, is more reliant on physicality, is a bit craftier, all as she was in the original Singer films – while still positioning her as a key part of the film’s emotional and thematic arc. It works, much more than I could have predicted, and while this continues to be a slight underuse of Jennifer Lawrence’s considerable talents, she makes Mystique’s biggest moments count in a way lesser actresses couldn’t. And while Days of Future Past doesn’t overload itself with mutants in the way other X-Men films tended to do, there are some fun new characters here – Evan Peters’ Quicksilver is a lot of fun, even if his visual design is underwhelming – and none of them overwhelm or slow down the storytelling. The only character who feels truly underserved is the villain, Bolivar Trask, who needed at least one good, solid scene showing why he hates mutants enough to build giant robots of death. Peter Dinklage plays him well, but it feels like a waste of his talents, because as written here, Trask is a plot point, not a character. The vibrant, beating heart of this franchise remains Hugh Jackman, though, and more than any other single element of the film, Wolverine’s role here feels like a massive pay-off to everything the character has been through these past fourteen years. No other actor has been playing a single superhero this long, and as a result, few comic-book characters have progressed so far on screen. We’ve seen Wolverine go from rough, violent, and rogue to a calmer, more mature man at relative peace with his immortality, abilities, and trauma, and that allows him to play the guide here, to be the arbiter for the younger cast’s development. That, more than anything else, brings the franchise full circle, for where Stewart’s Xavier once played this role for Wolverine, Wolverine now gets to play this role for McAvoy’s Xavier, and that casts such tremendous emotional weight upon their interactions. The film’s final moments are built around paying off Wolverine’s journey over the course of the series, and it’s an absolutely beautiful set of scenes. Wolverine is, finally, rewarded for his actions, and when the realization of all that has happened starts cascading down upon him, I found it genuinely, powerfully emotional, a pitch-perfect pay-off to fourteen years spent with this character. For the first time, he is free, and as goes Wolverine, so goes the franchise. Days of Future Past feels like it could – and maybe even should – be the final ­X-Men film, so absolute is the sense of culmination at the film’s conclusion. There will, of course, be more, and if this creative team can continue making films in this mold, I’m fine with that. This is far and away the most technically accomplished X-Men film, with a big, rich, gorgeous score from John Ottman – it’s the composer’s best work to date, fresh and familiar and constantly enhancing the tensions and emotions of every single scene – and truly tremendous action sequences and spectacle. Singer simply feels at home here, his intuition for how to capture this world and its characters obvious, his energy for the franchise palpable and infectious. I wouldn’t have necessarily believed Singer had this in him before now – X2 is excellent, but I don’t think it’s any better directed than First Class or The Wolverine – but with Days of Future Past, he has clearly proven himself the right man for this franchise, and I hope he sticks with it for at least one more feature. Days of Future Past hasn’t just breathed new life into this series, but justified, contextualized, and paid off on its entire erratic history, bringing one chapter of the franchise’s life to an unexpectedly rich close, and crafting a clean, exciting slate for the future. It is unlike any superhero film I have ever seen, and finally, after many years, welcomes X-Men into the genre’s uppermost tier.